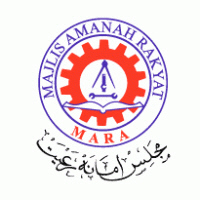 KENINGAU: Majlis Amanah Rakyat (Mara) branch here plans to build an incubation centre for handicraft in Kampung Batu Lunguyan, Sook to provide training to local handicraft entrepreneurs as well as to help commercialise their products. An official at the branch, Mohd Zairulfiza Mohd Zin, said the centre will house a workshop and an exhibition space considering that most of the population in the area have a particular talent for making bamboo-based handicrafts. “The process of applying for an allocation for the centre is now in the final stages and if all goes well, the centre will become a reality either this year or next year,” he told Bernama. According to Zairulfiza, the selection of Kampung Batu Lunguyan as the project site was decided after taking into account the location of the village which has been accredited by the Ministry of Tourism and Culture as ‘Kraf Kampung Ku’ (Craft Village). “Bamboo-based craftsmanship is available only in Kampung Batu Lunguyan. Hence, their skill needs to be developed so that it does not disappear over time,” he said. According to him, the incubator, which will be supervised by Keningau Mara, will also serve as a training centre for potential craftsmen among the children of the people there, thereby providing a socio-economic impact through the presence of international tourists. Asked about the location of the incubator, Zairulfiza said the existing Yayasan Sabah building in the village would be used, and work to modify and renovate the building had been agreed upon.